In the BizTalk world, the person who publishes the orchestration usually creates a small client program to call the webservice and to test it. This is a good practice before going to another developer (either in your company or to a customer) and telling them the service is “working” when you haven’t even tested it yourself. 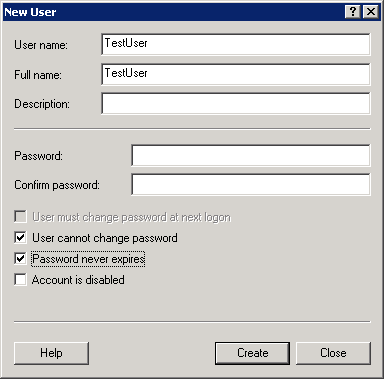 From Computer Management, add a new user called “TestUser” with a password “TestPass“. Depending on your policies, make sure “User must change password’ is unchecked, and “User cannot change pasword” and “Password never expires” are checked. Typically in a B2B scenario, you don’t expire the password, because that would break the business processes. Alternatively, you could add a Domain User account in active directory. At that point, you no longer want “Anonymous Authentication” enabled, so disable it. 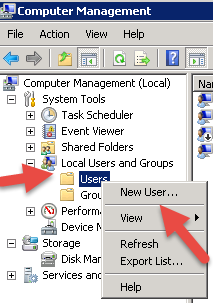 Screen shots below are from IIS 7.5 on Windows 2008/R2. Click on “Authorization Rules”, then right-click and select ‘Add Allow Rule’, then add ‘TestUser’. Remove any other users you don’t want there. I’m not 100% sure if you have to restart your app pool or website in order for these changes to take effect. I would suggest doing so. Go to the Receieve Location bound to your orchestration. Click “Configure” then the third tab over labeled “Security”. 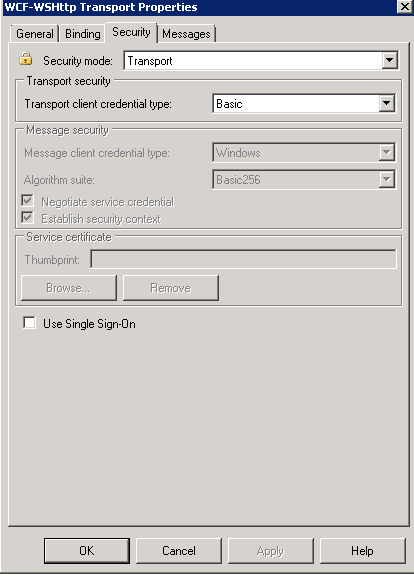 Select “Basic” for the “Transport client credential type”. This must match what we setup in IIS above. Run your client with “TestUser” and the correct password, make sure it works. cation header received from the server was 'Basic realm="mydomain.com"'. ---> System.Net.WebException: The remote server returned an error: (401) Unauthorized. I hope to explain the SSL part in a separate blog.